As we enter into the part of the year in which we read the Exodus story in our synagogues, here’s an excerpt from a chapter from my recent book, Moses: A Stranger among Us, that I hope you’ll enjoy. The book is a terrific resource for clergy of all faiths, especially those looking for good stuff for sermons, and it’s also a really accessible and usable scholarly work on Moses. What follows is part of Chapter 10, “Moses” – the quotation marks are intentional, as in someone making air quotation marks as they say the name Moses. Even though their work involves questioning the historical accuracy of how the New Testament presents Jesus, many of the Jesus Seminar professors are also Christian pastors invested in a living Christian faith. By closely analyzing the New Testament texts and reviewing other available historical information, these scholars have sought to develop theories about who the actual, historical Jesus may have been, and which sayings and actions attributed to him are most likely to be authentic. Signed copies for $20 – just click here. understand the various early Christian groups that produced the different gospels, for instance, and how each of them may have shaped or added to the teachings attributed to Jesus over the years. It’s important to bear in mind that in the ancient world, the common practice was for disciples of a great master to add to his (or occasionally, her) sayings and teachings. When faithful disciples would add to their master’s sayings, they would often attribute the new sayings to him, out of respect and loyalty to the school of thought that he had founded. Disciples and students were not eager to claim personal authorship of new ideas for themselves, nor did they have the need modern Westerners often have for historical accuracy. In Jewish tradition, scholars see the same pattern having played out among the early rabbis. There are many teachings and sayings attributed in the Talmud to great sages like Hillel or Rabbi Akiva, for example. Both men had many disciples and developed popular schools of thought. It is likely that over time, sayings accrued to them that they never actually uttered. Sometimes different groups within a developing religious tradition would join together to consolidate and canonize an official version of their sacred texts. This usually involved discussion and compromise, as the different groups would each want their own texts and traditions included in the canon. In the ancient Middle East, the canonizers of sacred texts were not operating within the framework of modern Western writing, and therefore they were quite comfortable putting multiple and even contradictory written traditions alongside each other as part of the finalized sacred canon. The canonizers of the New Testament, like the redactors of the Torah that I discussed in chapter 6, were not threatened by presenting their contemporary readers with a Bible designed as a composite text that includes multiple accounts of the same story, complete with contradictions and logical or narrative conflicts. This is why there are four gospels in the New Testament, not just one. The New Testament even presents two gospels that have conflicting genealogies of Jesus’s ancestry (see Matthew and Luke). As the scholars involved in the Jesus Seminar have continued their work, they have offered a new way of looking at Jesus as he is presented in the New Testament. They see Jesus as a literary composite figure, a combination of some of his own authentic teachings as well as the varying and sometimes conflicting teachings of others who came after him. Some of these scholars have even started writing about the difference between “Jesus” and Jesus. “Jesus” is the composite literary character we find when we take the entire New Testament as a whole that is made up of many component parts: different writings from different communities with different agendas, writings that were joined together by editors and canonizers. Jesus – without quotes – is the historical person who lived, taught, inspired large numbers of people, and died about 2,000 years ago in Roman occupied Judea. Needless to say, the written use of “Jesus” as a way of making a distinction that is important to the Jesus Seminar scholars was bound to upset some Christian religious traditionalists. One of the most common criticisms of the Jesus Seminar from some Christian conservatives is that their entire endeavor is heresy. Once they deconstruct traditional Christian belief to the point that Jesus becomes “Jesus,” the conservatives argue, they’ve left the fold. Many liberal Christians, on the other hand, disagree, and don’t see a threat to their tradition through this kind of historical inquiry. Because Jesus’s lifetime was at least 1200 years closer to our time than Moses’s; because the New Testament includes four distinct gospels and many other writings about Jesus’s teachings and beliefs; and because there are also several known gospels that were not canonized into the Christian Bible, there is enough written, archeological, and historical material available to scholars to do fruitful investigative work on the question of what the historical Jesus may have actually preached, done, and taught. In the case of Moses, however, it’s harder to make this kind of inquiry. With Moses we’re talking about events purported to have happened around 3,300 – 3,500 years ago. The New Testament was canonized within only 350 years of the life of Jesus, and much of it was written within a century of his death. The Torah on the other hand, according to most Bible scholars, didn’t come into its final redacted form until about 700 or more years after when Moses likely lived. And the rest of the Hebrew Bible, including its accounts of Moses, took several more centuries to come together. The Jesus Seminar scholars are also fortunate to be able to draw upon many available ancient writings about Jesus from non-Christian sources, such as the early rabbis, the Romans, and others. All of these sources are influenced by the agendas and polemics of their authors, to be sure, but nevertheless they are valuable for historical research. By contrast, there aren’t any surviving documents about Moses from non-Israelite sources close to the time of his life. One of the great disappointments of Middle Eastern archeology has been the utter lack of any ancient Egyptian accounts of Hebrew slavery or of Moses, their liberator. Moses’s great antiquity makes him a very distant mythical figure, and the oldest account of him we have is the Torah’s complex and composite presentation of him. Still, like the historical Jesus scholars, I can’t help but wonder two things: 1) who was the historical Moses? and 2) what valuable things can we learn by studying the elements that make up “Moses” as he has been presented by Torah, by Jewish tradition as it evolved over the centuries, and by other religions who have added their own layerings to this remarkable composite figure? Truth be told, I’m actually more interested in the second question than the first. Barring some amazing archeological discoveries in the future, the historical Moses will probably always remain beyond our reach. Academic Bible scholars debate the question of whether there was an historical Moses, and among those who believe there was, opinions about who he was and what he did vary. A few have even suggested that Moses was actually an Egyptian noble who followed the monotheistic beliefs of a Pharaoh whose short reign had preceded the dynasty that witnessed the Hebrew slaves’ escape, though this theory is not believed by many in the field. In the end, unless we choose to believe a traditional religious narrative about Moses, we are left with a mystery as to whether or not he existed, and if he did, who he was and what he might actually have said and done. And without the kinds of corroborating materials that have helped to confirm the historical existence of other giant religious personalities, like Jesus and Muhammad, we are left with only plausible theories and educated speculation. For me, what the historical Moses may have been like is not so important. 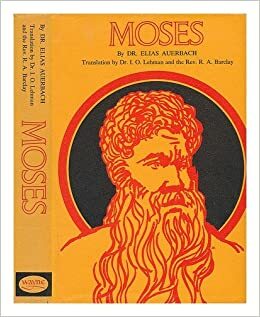 The person found in the Jewish sacred literature that I have studied, learned from, and at times wrestled with as part of my life as a thoughtful and committed Jew is “Moses,” not Moses, and I’m comfortable with that. Let’s look at how “Moses” has evolved over the centuries. First, let’s explore what we can learn by trying to tease apart some of the layers of the literary composite figure of “Moses” presented to us in the Torah. According to the Documentary Hypothesis developed by academic biblical scholarship, roughly 2,500 years ago the redactors of the Torah wove together different traditions about Moses that came largely from four major scribal schools, which academics named J, E, P, and D. Scholars such as Moshe Greenberg also argue that in addition to these four different sources, there was probably a core legal tradition that Moses actually presented to the ancient Hebrews. Over the centuries, however, the Israelites developed additional laws and ascribed them to Moses, and these laws also became part of the final Torah text. If the Documentary Hypothesis is more or less on target, the “Moses” of Torah is a composite figure who binds together different legal codes, stories, leadership roles, and personality traits. Although much has been written about the writing styles as well as the spiritual, legal, and political priorities of J, E, P, and D, there is no scholarly consensus on exactly how to divide up the different source materials of the Torah’s accounts of Moses. Moses’s enormity as a character in the Torah, the sophistication of the editing, as well as the number of unknowns about the development of these different textual sources combine to thwart efforts at scholarly consensus. For example, take the Torah’s lengthy telling of the geographic movement of Moses and the Israelites once they escape Egypt and begin their forty year journey in the wilderness. This story begins in the Book of Exodus and ends in Deuteronomy. From a simple narrative standpoint, it’s hard to follow precisely where the Israelites are throughout the story, and what the chronological order of the episodes is. Also, sometimes the Torah’s wilderness narrative presents inconsistencies, or offers multiple tellings of similar episodes. Scholars think that one reason for these narrative curiosities is that, in this part of the Torah, multiple traditions of story and law-giving have been woven together with an editorial emphasis on preserving and combining various story traditions. I won’t present a lengthy overview here of the different ways that J, E, P, and D each give us a “Moses” whom the redactors ultimately merged together into the “Moses” we know in Torah. That could be an entire book in and of itself. Rather, I’ll limit myself to mentioning two examples of what we discover when we separate the literary strands of the Torah’s “Moses,” and I’ll talk about why it’s worthwhile for us to study the source texts independently alongside the Torah’s final version. allows the Hebrews to go forward on shore land that had previously been underwater. (There are no walls of water surrounding the slaves as they go forward.) God’s protective pillar of cloud delays the Egyptian pursuit, but when the Pharaoh’s warriors finally do give chase, the wind changes direction and the tide comes back more fiercely and quickly than they were expecting. They turn their chariots around to head back, but it’s too late, and they are trapped in the returning salty waters. The final edited version of the story we read in Exodus 14 emphasizes P’s imagery and uses J’s to support the tale. The narrative shifts between P, J, and the other materials the redactors used creates a final version that flows well enough as a single narrative for us to follow along, but that has just enough jumping around from one vantage point to another to heighten the sense of chaos in the story. This is part of the literary craftsmanship of the redactors. Given that the redactors’ final version of this story is so wonderfully composed, what’s to be gained by studying its different literary source texts? Well, to offer just one response: studying the P and J strands of this story opens up important questions about the character of Moses in this climactic moment. Moses’s actions and words in P and J present us with different snap shots of his leadership in a situation of terrible peril. In P, when the Hebrews are crying out in prayer to be rescued, God tells Moses not to just stand helplessly among them, but to raise up his rod before them so that the sea can part. Don’t just stand there, Moses – do something! Moses’s leadership response to the crisis is to take bold and visible action. He raises his rod and the miracle happens. In J, however, when the Hebrews panic, Moses uses a different leadership approach. He says, “Stand still and see the Eternal’s salvation that God will do for you today.” Moses doesn’t raise his rod, and the sea doesn’t split. A strong east wind blows back the waters and makes a way forward for the Hebrews, while the Egyptians’ view of things is obscured by God’s pillar of cloud. In this account, when the people panic, Moses’s leadership takes on a more zen-like posture. Don’t be afraid is his message to the Hebrews. Be still and pay attention. Trust. By teasing apart these two strands of the Torah’s composite telling of the redemption at the sea, we see two possible models of leadership in a moment of great peril. Two different “Moseses.” If we didn’t go through this exercise, we would miss the opportunity to explore what we can learn from these two different examples of leadership in a crisis. Studying the P and J strands of the story raises new questions, such as: When people are in a panic, when is one leadership tactic more effective than another? When does the situation call for a pro-active gesture (P) or an unflappable and trusting posture (J)? This is the value in breaking down the literary sources of the Torah’s accounts of Moses – each strand has its own conversations to spark and teachings to offer. When we study the combined, finalized Torah story that the redactors bound together in Exodus 14, we get yet another “Moses” to discuss. The redactors’ “Moses” is a leader who moves back and forth between the more active, visible leadership of P and the more trusting, quiet-in-the-face-of-danger approach of J, perhaps offering the lesson that a truly effective leader needs to be nimble and flexibly responsive to different peoples’ needs in a crisis. Let’s turn to another part of the Torah now. Some Bible scholars believe that the Torah has artfully combined two different traditions about the location of where the Israelites had their main revelatory encounter with God in the wilderness. Most of us are familiar with the Torah’s accounts of God giving the Israelites the commandments amidst thunder and lighting at Mt. Sinai, but the Torah also describes Divine laws being presented to the Israelites in another location: the wilderness oasis of Kadesh, where the Israelites encamped for some time during their forty years of wandering. Norman K. Gottwald writes that two different traditions about where the people received the Law have been preserved in the Torah, though the redactors chose to emphasize the Sinai encounter. One of the reasons he presents this theory is based on some striking storytelling parallels that he observes in the Torah’s presentation of the Israelites’ experiences at Mt. Sinai and Kadesh. Why would there be a Sinai and a Kadesh tradition about the Israelites’ experience of receiving God’s laws? One theory suggests that the Israelites were a people that was made up of two different groups that joined together and merged their religious traditions, laws, and stories. One group went through slavery in Egypt and the Exodus. When they left Egypt they went to Mt. Sinai and received the Law, and then later made their way to Kadesh. The other group, however, was never enslaved, but rather had lived at Kadesh for some time. They had traditions of having encountered their deity and received their laws at Kadesh. Some time after meeting up at Kadesh, the two groups eventually merged. According to some versions of this theory, the historical Moses was the great leader of the group that left Egypt, and ultimately he became incorporated into the Kadesh group’s mythic traditions as their lawgiver too. There’s no way to prove or disprove this theory, of course. It’s perfectly possible that there weren’t two different groups that merged at Kadesh, or that the Israelite people formed out of some other kind of merging of groups. But by taking the time to consider the possibility that there was a “Slaves-in-Egypt” group and a “Kadesh” group, we open up to new possibilities about who Moses may have been and how the early Israelite religion evolved in its first stages. Maybe in addition to being a liberator, a legislator, a prophet of God and a military leader, we should add to Moses’s leadership roles that he was a negotiator between tribal peoples. Maybe it was Moses who worked tirelessly so that these two groups could connect their fates, interweaving their theologies, religious stories, laws, and practices. – Auerbach, Elias, Moses, translated and edited by Robert A. Barclay and Israel O. Lehman, Wayne State University Press, Detroit, 1975, pp. 66 – 67. According to this theory, over some time the confederation of the two groups solidified, and they developed a new goal: conquest of the relatively fertile and more spacious land of Canaan. Canaan would replace Kadesh in this emerging people’s mythic story as the Promised Land. Now of course, this could all be wrong. But by weighing the evidence for these kinds of scenarios, and by looking at the likely strands and layers of the Torah’s composite text, we gain alternative impressions of “Moses” and new insights into who he might have been – insights that are not offered to us if we limit ourselves to only those readings of the Torah that are approved by religious doctrine. For more, feel free to leave a comment or visit here to buy a signed copy.